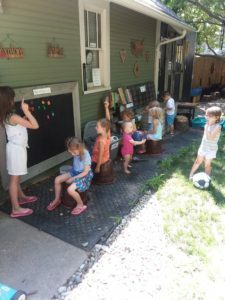 Tentinger Daycare has been a state licensed Family Child Care Home since 2011. I am the sole Owner and Provider, Ann Marie Tentinger, and I am dedicated to providing quality care for infant to school-aged children. 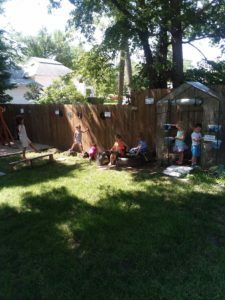 I am passionate about providing a positive and safe atmosphere that encourages children’s physical, mental, social, and emotional development and learning in a home environment to improve independence and school readiness outcomes. 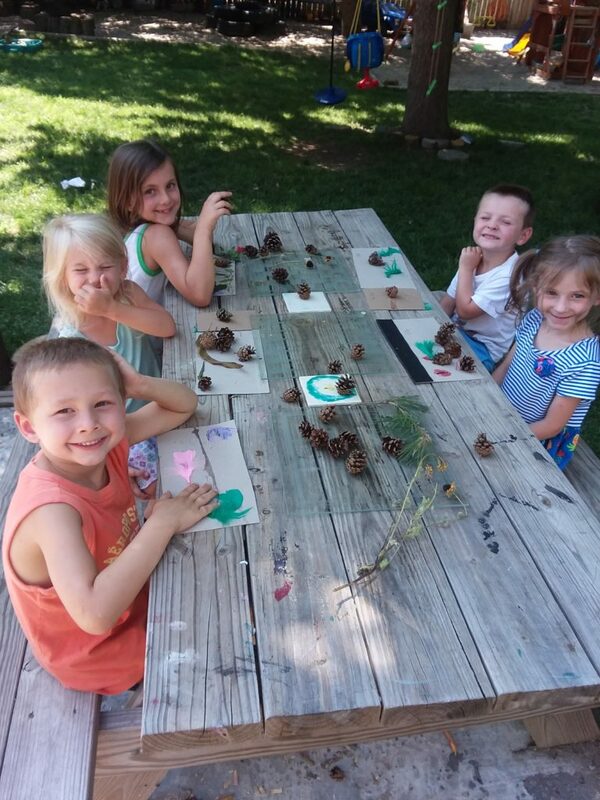 Children’s learning/education is centered around play and hands-on experiences. 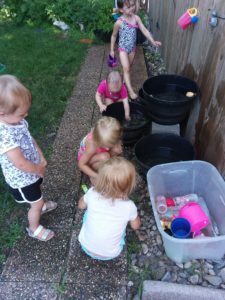 My curriculum is unique to my daycare and aligns with the Nebraska Early Learning Guidelines including Math, Science, Creative Arts, Approaches to Learning, Language & Literacy, Health & Physical, and Social & Emotional. I am a member of the National Association for the Education of Young Children. I hold the highest rating of a Step 5 since 2016 from Step Up to Quality which is Nebraska’s Early Childhood Quality Rating and Improvement System. After receiving my rating, the next step for me was focusing on my outdoor classroom and curriculum to align with the guiding principles of Nature Explore. We are in the great outdoors each day, so I wanted a space that provided a true connection with nature and contained natural elements. 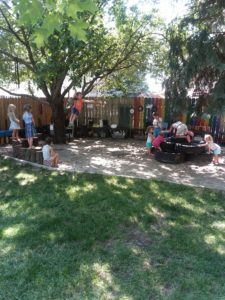 The children have led the way in building and transforming our outdoor classroom into an outdoor space that provides a bond to the natural world. My favorite sentences start with, “Hey Ann, wouldn’t it be great if…” and then the ideas just pour out. 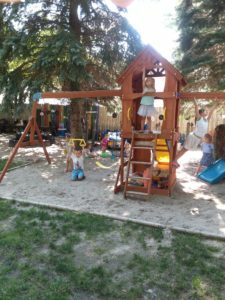 We have special interest areas that are changed/rotated so we are able to do the activities that the children enjoy and change them when their interests change. The children love the outdoor classroom and going on adventures. 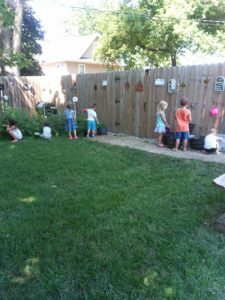 The space allows children to experience nature with all of their senses. They run and play, climb, crawl, swing, build, dig, read, and write. Their favorites are making music as loud as they can and creating works of art. The children also like to help with the garden and greenhouse and watch the fruits and vegetables grow. The children take pride in their work and care for their space. 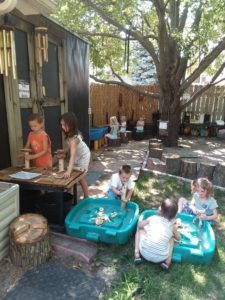 They love to work with tools and play with and make things with sand, water, dirt, and other natural materials found in the space. They love to watch the animals and insects that visit the space.